The Balwin home sale price per square foot had a strong finish to 2012. Balwin exceeded the Edmonton average selling price for the last 2 quarters of 2012, briefly Balwin reached over $300 per square foot! 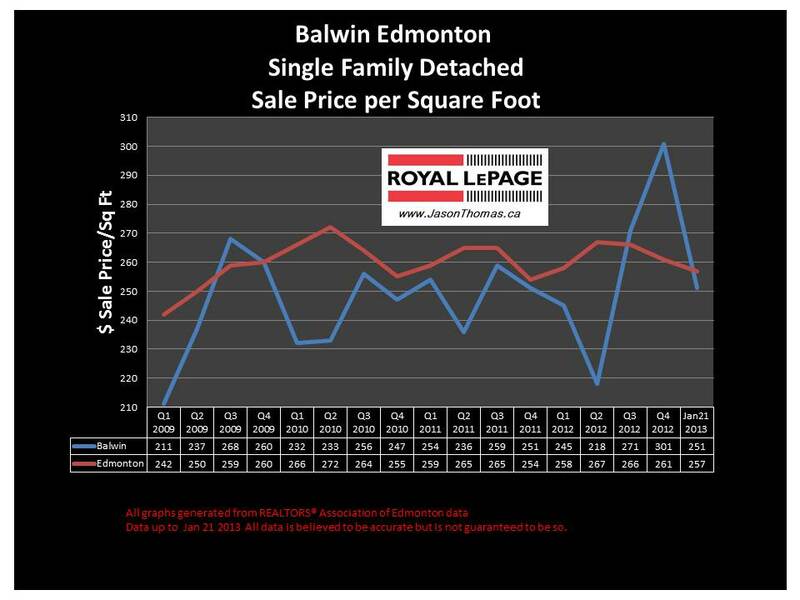 In the past, Balwin has normally bounced just below the Edmonton average sold price per square foot, we will see in 2013 if that pattern has changed. The highest sale price for a home in Balwin in 2012 was $330,800. The most affordable home sold for $149,900 in Balwin last year. The average time to sell a house in Balwin in the last 90 days has been 120 days. That is double the Edmonton average days on market of 57 days in the same time period.